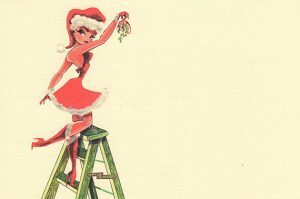 It’s that time of year again, so get out the mistletoe, eggnog and put on a jolly face (which can be easily induced by 1 serving of wine). Throwing a party for your friends or family? Attending a party and want to bring something festive? Below are some tips on how to impress your guests – or the host. Invitations: You could just do it the easy way – a Facebook invite. But why not send out some cards to go along with it? There’s nothing like receiving a festive invitation in the mail around the holidays. Try finding a set of invitations at TJ Maxx or Marshalls – you’ll have plenty of cute ones to chose from for a very small cost. 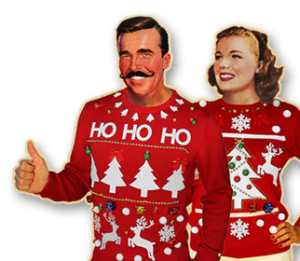 Dress Code: Ugly Sweater or Holiday Cocktail. Or make it both! You’ll get the few who show up wearing jeans and a t-shirt, but for those who abide your loosely enforced dress code will love it. Fun tip: Set up a ‘photo booth’ in front of the tree or another festive space. 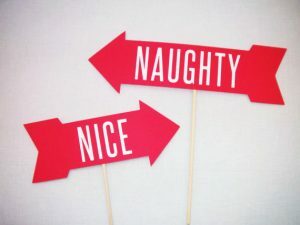 Keep some fun props nearby, like a Santa hat or fun little signs reading “Naughty” and “Nice” (you can get these signs/props in sets at any party store or Target). Think of a fun hash tag for the party for your friends to use when posting their photos, like #JuliesHoHoHomewarming or #WickedJollySpectacular. Drink: You’ll need a signature cocktail of course! Who said sangria was only a summer thing? This drink is perfect for a house party – and easy to make in a large quantity. 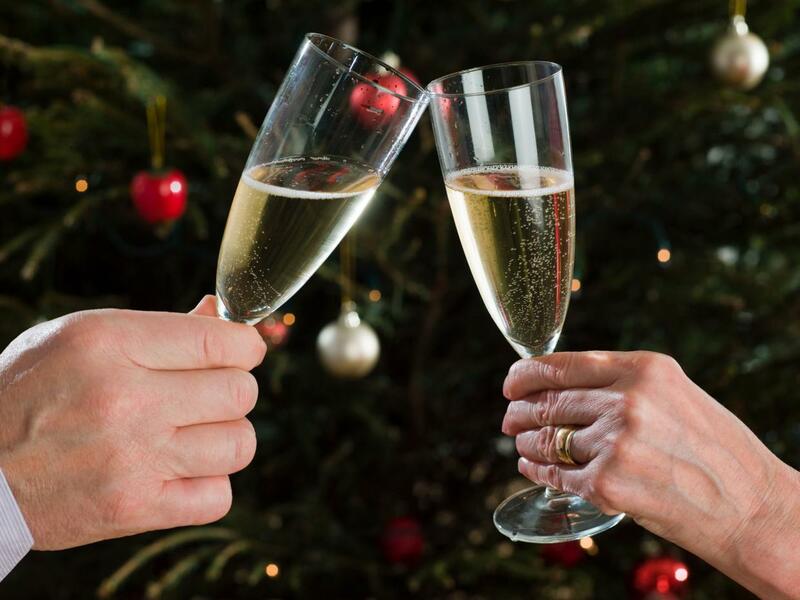 For each bottle of Prosecco you use, use ½ cup of brandy. Cut up the cranberries, apples, and pears and let them soak in the sangria. Mix a cup of water and a cup of sugar in a saucepan, and add in the nutmeg and cinnamon. Simmer on low for about 15 minutes, stirring occasionally. Strain, and use this ‘syrup’ to sweeten the sangria to taste. 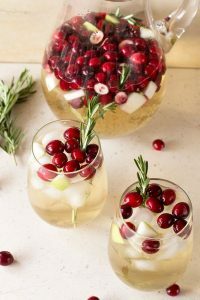 Garnish the glasses with a cinnamon stick, berries and/or pine needles, and drink up! Appetizer: We have approximately 1 month until we start our new years resolution diets, and even longer until we have to be seen in public in a bikini. It’s now or never. Bring on the cheese, the carbs, and the joyful satisfaction (otherwise known as ‘so full I want to die’). 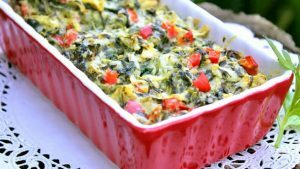 Spinach Dip – Always a crowd pleaser, and super simple to make. Mix together all of the above ingredients and bake at 350 degrees for 20 minutes in a 1 quart baking dish. Serve with crackers, or cut up a baguette. Yum! Line a baking sheet with foil, arranging the graham crackers in a single layer. Sprinkle with marshmallows. In a medium saucepan, combine the butter and brown sugar until sugar is completely dissolved. Remove from heat, and stir in cinnamon and vanilla. Scoop onto the graham crackers, spreading evenly. 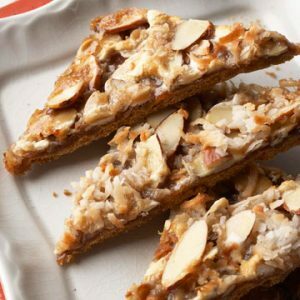 Sprinkle the almonds and coconut over the graham crackers, and bake for 15 minutes at 250 degrees. Let cool, and cut into smaller pieces. Let these cool in the refrigerator overnight. I’ll say that’s better than a sugar cookie with a Hershey kiss! (Not that we hate those, please bring some). This entry was posted in Recipes and tagged appetizers, christmas, Dessert, holiday party, Prosecco, sangria, Wine. Bookmark the permalink.